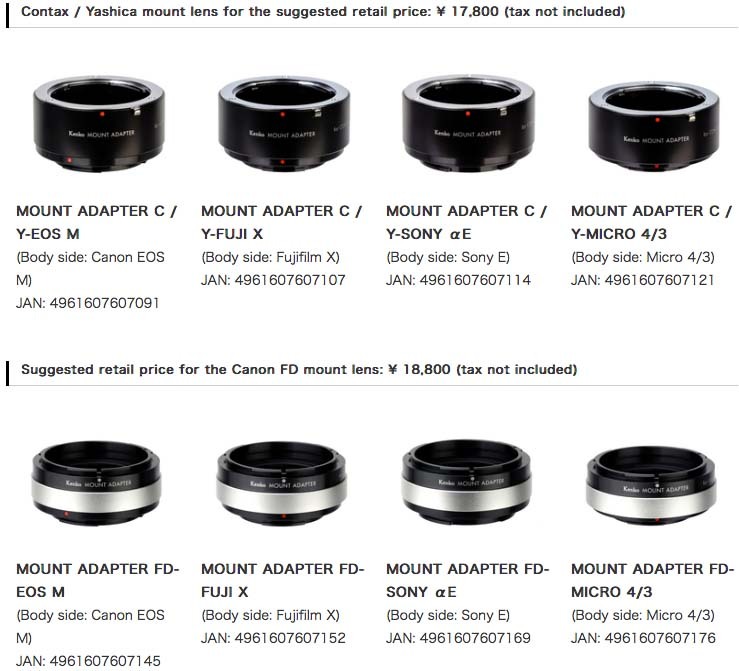 Kenko Co., Ltd., to add it possible to mount the Old lens to the latest mirror-less camera to the lineup of “Kenko mount adapter”, for Contax / Yashica mount lens and the Canon FD mount lens, 2016 we started from the sale June 25. This entry was posted in 3rd Party Lens, Accessories, Press releases and tagged Kenko Co., Ltd. Bookmark the permalink. Trackbacks are closed, but you can post a comment.